Are you tired of the old-school ways of self-promoting, like cold calls and handing out flyers? Do you want a way to reach a broader audience in a shorter amount of time? Luckily for you, SpeedPro has an answer. 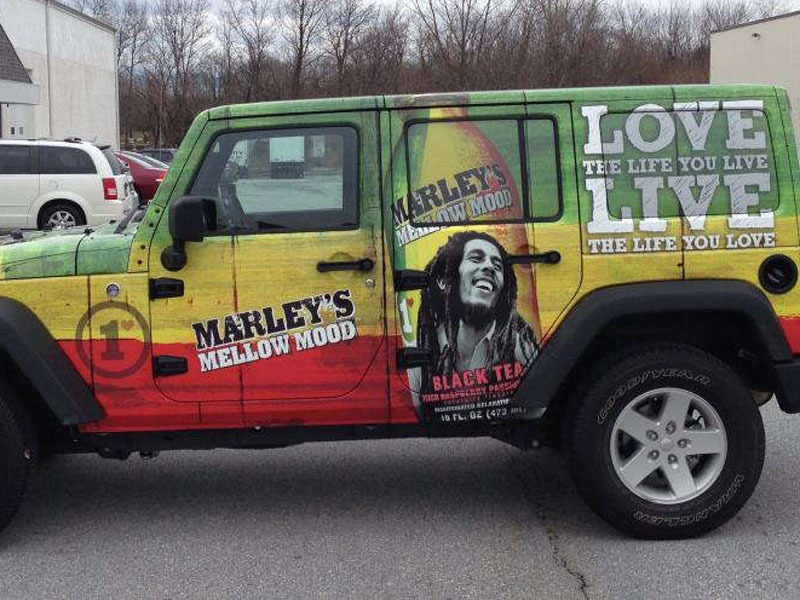 Vehicle advertising gives you the chance to gain more visibility for your brand. By using custom vehicle wraps, you can take your car or truck anywhere on the road and be seen by hundreds or thousands of people every day. That’s a much higher number of people than you could call by phone and actually speak to each day. If you’d like to give your vehicle a small or large makeover to promote your business, reach out to SpeedPro Imaging Virginia Beach. We help organizations and businesses local to the Chesapeake and Suffolk areas. Let’s design some new vehicle wraps to elevate your brand! When our team conducts a consultation with you, we’ll discuss your business needs as far as branding and marketing are concerned. We’ll also discuss your preferences for design and style and find matches to meet your requests. These are all effective options that will have people asking about your brand for miles — expect some new calls! Trucking and van delivery companies will most likely be interested in our custom fleet wraps. They’re designs that can be applied to all of your fleet groupings. For example, if you run a catering company and often need to send three or four vans to a venue, wouldn’t it be impressive and professional for all four vans to look identical with their branding? You can include your brand name on the sides and back bumper of these vehicles, accompanied by a logo design and contact information. No matter who passes the venue or the vans en route, their attention will focus on the name of your company. They may even reach out to you! For standard-size trucks, SUVs and cars, you’ll likely be more interested in our full and partial fleet wraps. The processes of designing the two are very similar — the defining difference is just how much coverage you want on your vehicle. 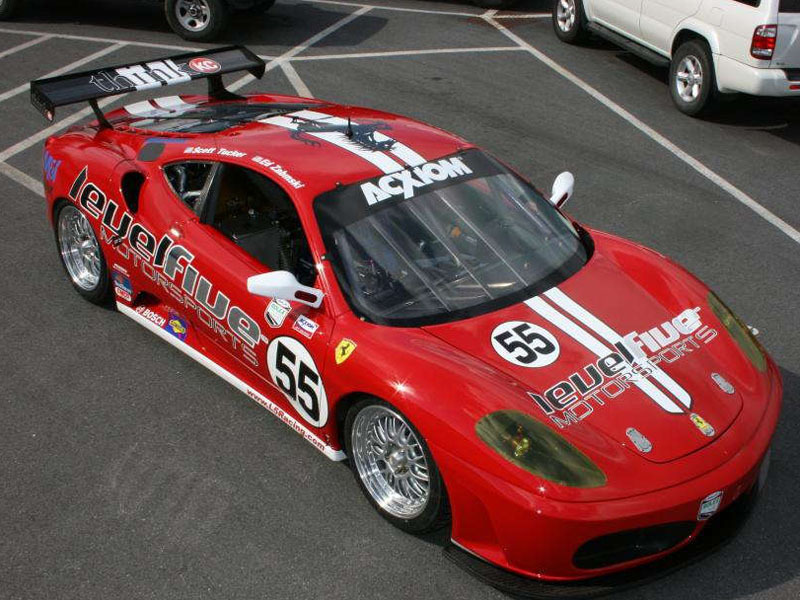 A full vehicle wrap will cover every surface, such as the side doors, windows, roof, hood and back bumper. A partial vehicle wrap is selective with its coverage, showing up on only the windows or just the side and back surfaces. The decision between these two wrap options is something our team will thoroughly discuss with you, but some general suggestions might help. 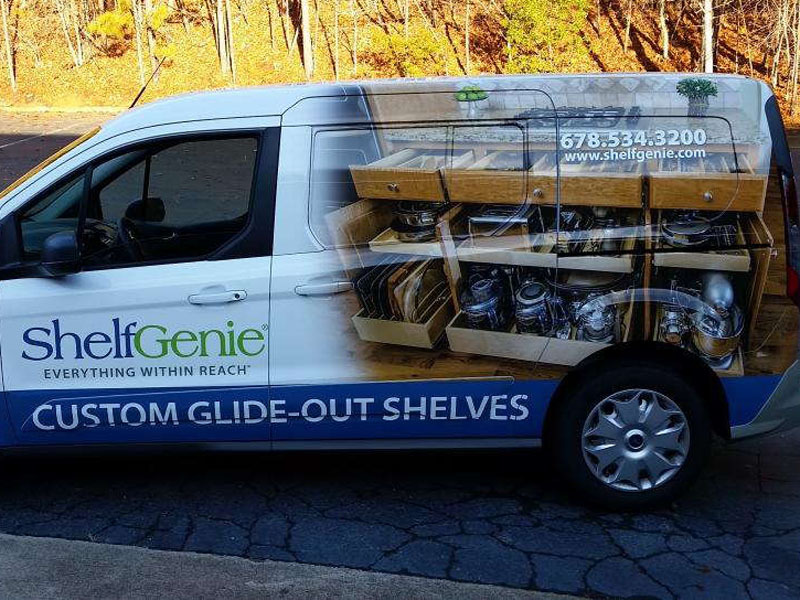 Brand new businesses that have not yet started promoting can use full vehicle wraps to ensure maximum coverage with maximum visibility to a large number of viewers. If your company is already established and you only want to use vehicle wrapping as a subsidiary type of promotion, a partial vehicle wrap will help boost your impressions. Give us a call if vehicle advertising sounds like the right adventure for you. We’ll schedule you a consultation to go over the specifics and questions with our skilled team. Let’s get rolling today!